What could be better than a day mingling with Minions in the morning, experiencing behind-the-scenes movie magic in the afternoon, followed by the wonders of the Wizarding World of Harry Potter in the evening? The only thing we can think of would be to do all of that without waiting! 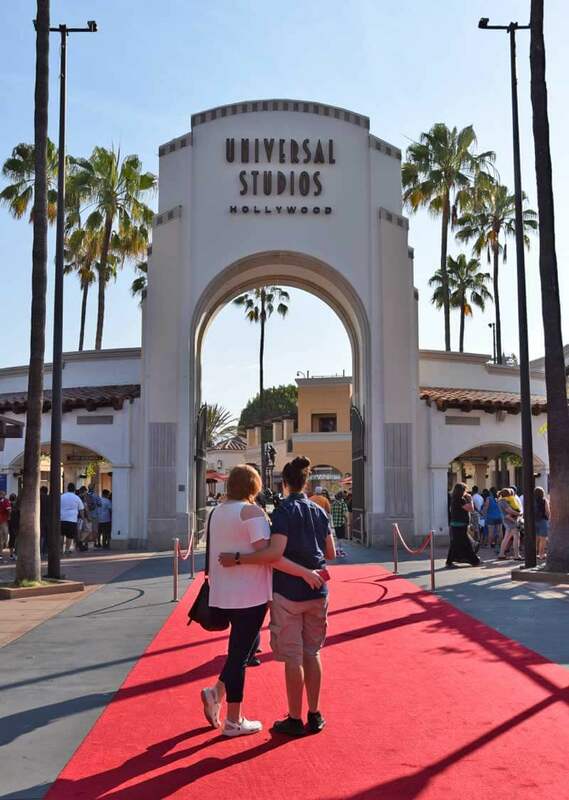 With the Universal Studios Hollywood Universal Express ticket (formally known as the Universal Studios Hollywood Front of Line pass), you can breeze through all of your favorites with priority access. Having this gem is just one part of a fun day here. The Frog Family jumped at the opportunity to use the Universal Studios Hollywood Express passes last summer, and it toadally made our day. Even though these tickets cost more than regular admission, the benefits are well worth it. The park limits the number of Universal Studios Hollywood Universal Express tickets sold each day, so the awesome perks are always maintained. This post will explain all of the Universal Studios Hollywood Express pass benefits! It's important to note that a Universal Studios Hollywood Express pass is a full ticket that includes admission to Universal Studios Hollywood plus one-time access to each ride, show and attraction, which is different than the add-on passes sold in the Orlando parks. You present the paper ticket (about the size of a credit card that you receive upon park entry) to be scanned at each ride. There is also an add-on option at Universal Studios Hollywood — more on that further below. Do You Need Universal Studios Hollywood Universal Express Tickets? Universal Studios Hollywood Universal Express — Peak Vs. Non-Peak? Universal Studios Hollywood sells a peak and non-peak version of the Universal Express. What we like about this is that you can buy the non-peak (lower cost) option during some of the busiest times of the year. For example, the non-peak Universal Express is valid all of February, March, April, May, September, October and November — and we know the park gets hopping during spring break, early summer and Thanksgiving. The 2019 non-peak ticket is also good for Jan. 6-31, most of June (June 1-26), the end of August (Aug. 19-31) and the first half of December (Dec. 1-18). If you are not yet certain when you are going, you'll want to opt for the peak ticket—it is valid any time! Even though Universal Studios Hollywood Universal Express costs more than a normal ticket, the benefits can toadally make the expense well worth it. We sell these prized tickets at a discount. Using the Universal Express pass is just one of the ways to manage time at Universal Studios Hollywood. On peak days in the afternoon, the lines can reach up to two hours long for big draws such as Harry Potter and the Forbidden Journey. But if you have a Universal Express pass, you literally walk—or in our case, hop—right onto rides without even having to wait. That is what sets Universal Express passes apart from say, Disney’s FASTPASS, which reduces your wait time but does not send you straight to the front of the line. 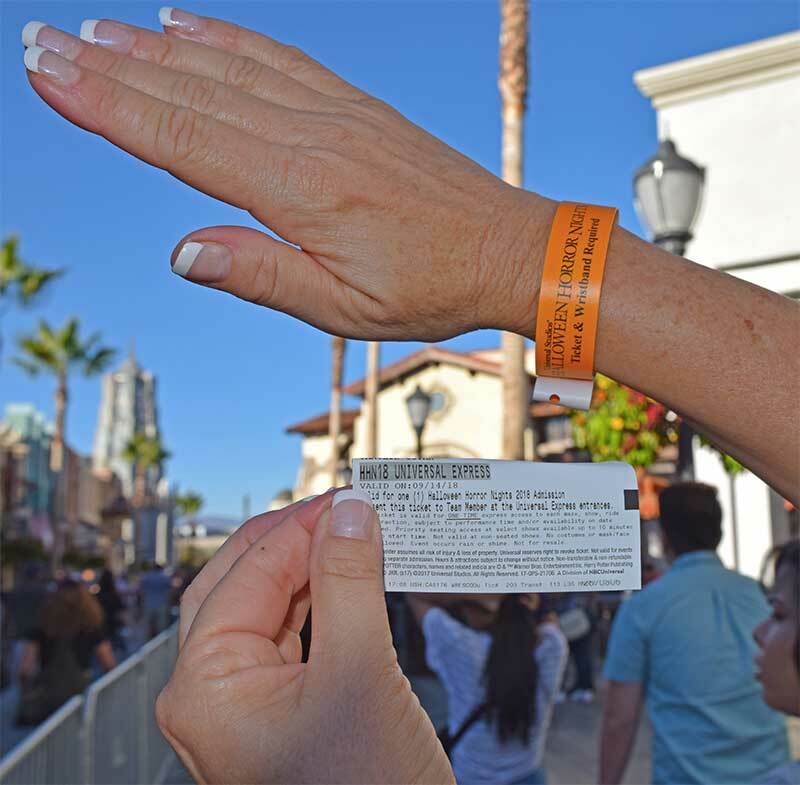 The Universal Studios Hollywood Universal Express pass gets you one-time priority access to each show. It gets you priority seating and includes some special meet-and-greets or up-close and personal experiences following shows after the rest of the audience exits. Check the show schedule to find out which shows offer this benefit when you visit. 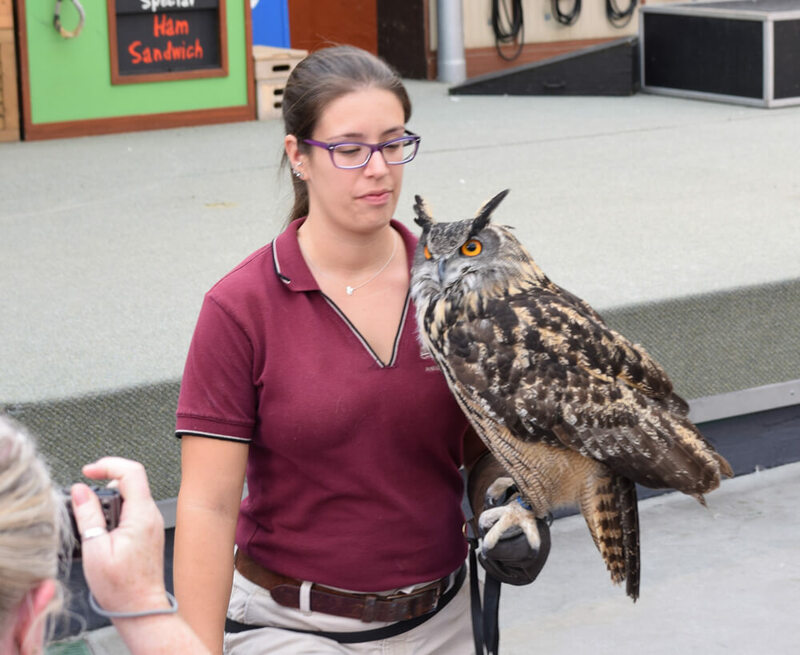 Lily and Tad really enjoyed meeting some of the animals (including a famous owl from Harry Potter movies!) after the Animal Actors Stage show thanks to our passes. Consider buying Universal Express strategically. 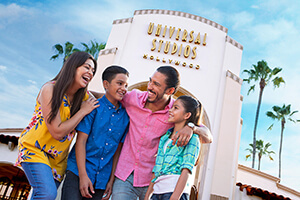 While it's always great to spend time together as a family, your whole family might not need to purchase Universal Studios Hollywood Universal Express tickets. 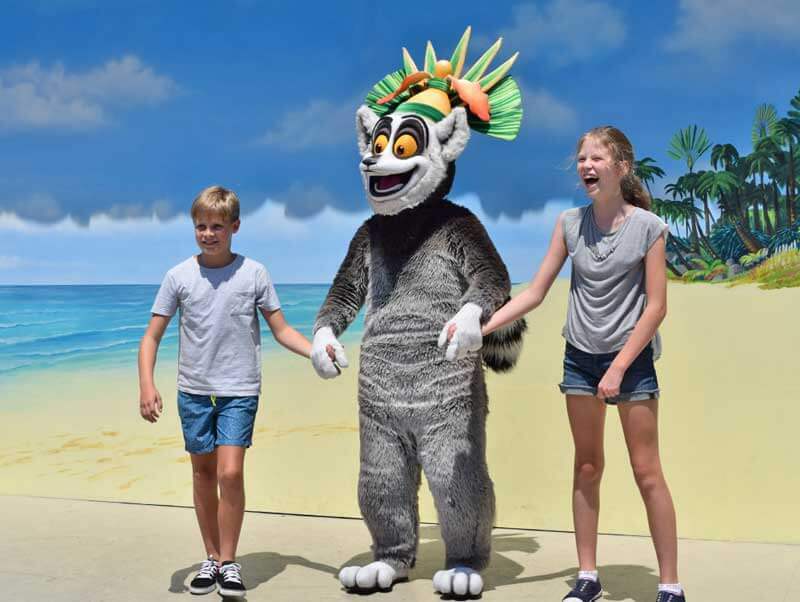 If your family is only interested in rides, but you have some younger children who won't meet the height requirements (or might be too frightened for the big rides), you probably don't need to purchase Universal Express for them. Or if you get motion sick like Flora, you might buy just your older kids a Universal Express pass and opt out of the pass and thrill rides for yourself. With the much shorter waits thanks to the Universal Studios Hollywood Express passes, the family will be reunited in no time! One of the season pass options includes express access. The Platinum Season Pass comes with one-time per day express access to each ride, attraction and seated show. Use Universal Studios Hollywood Universal Express only during long wait times. The Universal Studios Hollywood Universal Express ticket can only be used one time per ride. 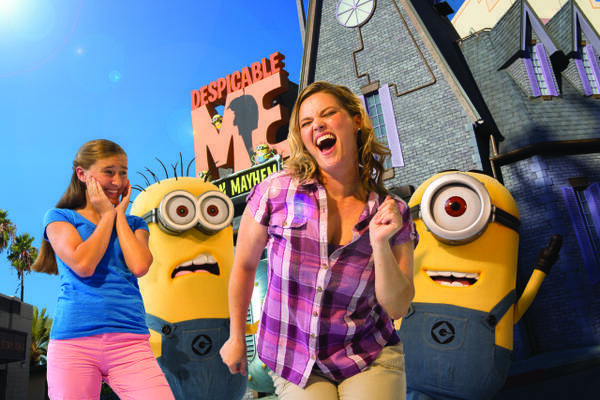 If you know your froglets want to ride Despicable Me: Minion Mayhem twice, choose your ticket usage wisely. We rode Minion Mayhem early in the day when the wait was under 15 minutes without scanning our passes. Then Mommy Frog and Lily rode again later by utilizing Universal Express when the wait was over an hour. Universal Studios limits the amount of Universal Express tickets sold each day, so if you are concerned about crowds, buy in advance (plus you'll save money since we sell them at a discount). It’s a gamble, but if you wait until you are in the park to decide the lines are not for you, it could be too late. The good part of limiting pass sales is that it means you truly go to the front of the line and get a better value experience when you use the pass. Save money by visiting at "off-peak" times. The pass can help make your day much more enjoyable if you are visiting during a peak time, but if you purchase the Universal Studios Hollywood Universal Express non-peak ticket, you can save money. 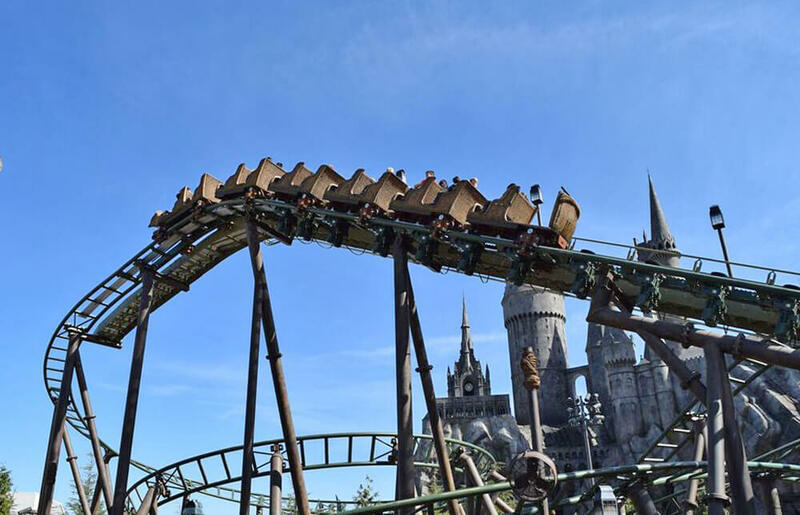 Some other affordable time-saving tips include arriving early, utilizing child switch and using single rider for rides like The Mummy, Transformers, Harry Potter and the Forbidden Journey and Flight of the Hippogriff. If you are really not sure if a Universal Studios Hollywood Universal Express pass is for you, or you already have your ticket or an annual pass without express access, you can take a chance on upgrading in the park. They can sell out on crowded days, and the price can vary — even throughout the day! On a summer day, we noticed a $70 add-on Universal Express ticket for one time use for each ride. No matter how you bought your park ticket, you can purchase an upgrade in the park. But keep in the mind that if the park becomes more crowded than expected, they could raise the price AND sell out faster. So the more you need the pass, the harder it is to acquire in the park! You can purchase and upgrade in the Upper Lot at the Box Office or at a kiosk at the bottom of the escalator in the Lower Lot. The Lower Lot kiosk may have a much shorter line. Upgrade to Unlimited Universal Express. If once is simply not enough and you want to be able to ride as many times as you can, there is an Unlimited Universal Express option. Whether you have a Universal Express ticket, a regular park ticket or a season pass, you can upgrade to Unlimited Universal Express in the park (subject to availability). If you already have a Universal Express ticket, the cost to upgrade to Unlimited Universal Express is $30-40. Peak days will be pricier than non-peak days, and they will sell out much faster on peak days. If you have a regular park ticket, it can cost about $110 to upgrade to Unlimited Universal Express. Prices can vary. If you purchase Universal Express tickets through Universal Studios online, you will be offered the chance to upgrade to Universal Express before checkout. All other tickets and discounted tickets can upgrade in the park. We recommend purchasing discount Universal Express tickets in advance (though Undercover Tourist of course!) to lock in express access, and then if you decide you want even more access, you can inquire about Unlimited Universal Express early in the day inside the park. The old Front of Line tickets were given to guests as a lanyard worn around the neck, but the current Universal Express tickets are paper tickets about the dimensions of a credit card. You have to pull it out each time you need to have it scanned for rides or shows. It can be cumbersome to always pull it out of pockets and backpacks, so if you have a lanyard with a clear pocket, bring it along for quick, almost hands-free scanning. They do sell souvenir lanyards in the park if you don’t have one. Buy Universal Express for Horror Nights or special events. Buy Universal Express for special events such as Universal’s Halloween Horror Nights. Horror Nights draws scary huge crowds, and some of the most popular attractions can have waits that last two to four hours! We have been there without the pass, and it is frustrating. We have also been there with the pass and were able to hop through every maze, ride and the Terror Tram. The pass was well worth it! These Universal Express passes are limited, and they will sell out early. If you plan to attend Horror Nights, make sure to buy early and be sure to get a Universal Express pass for each member in your party. And remember to bring a lanyard to simplify your night because you need to pull the Universal Express ticket out for scanning at each maze. The only way to get Unlimited Universal Express at Halloween Horror Nights is to purchase the R.I.P. Tour. The Universal Studios Hollywood Universal Express pass is a great way to help you manage your day and make sure that you have enough time to experience everything in the park at least once. 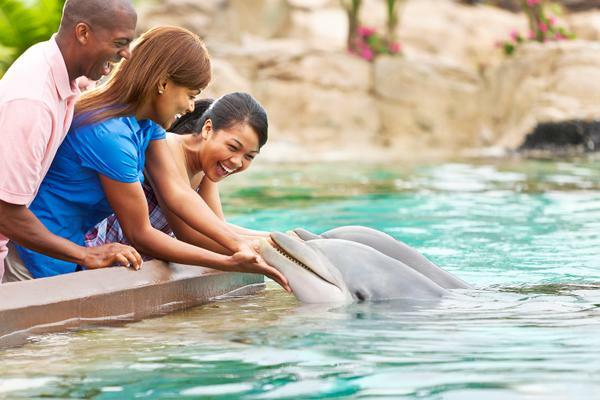 With the time savings that comes with the pass, you can hit your favorite attractions a second time. 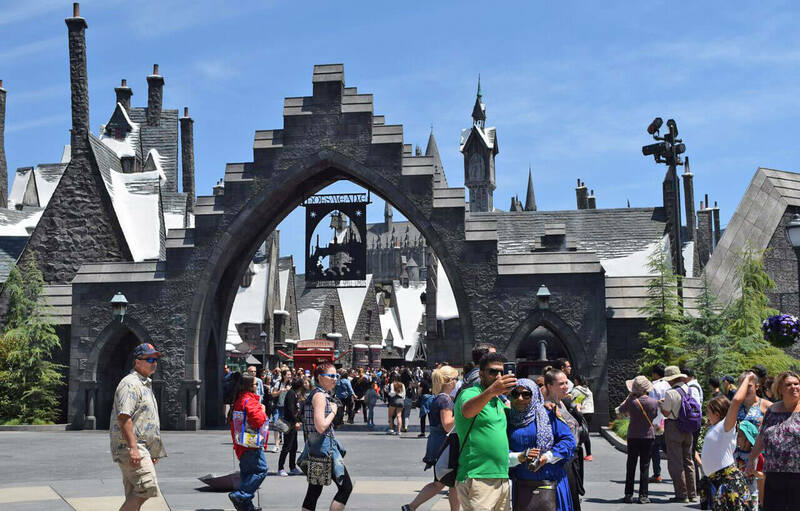 It also allows you to relax and enjoy more of the sights, take photos, see shows, meet characters, enjoy your meals, calmly sip Butterbeer, shop for treats and explore Universal CityWalk. Buying the Universal Studios Hollywood Universal Express ticket buys peace of mind because you know you can get it all in, and that equals a good family value. Did you know the Frog Family offers discount tickets to Southern California attractions? 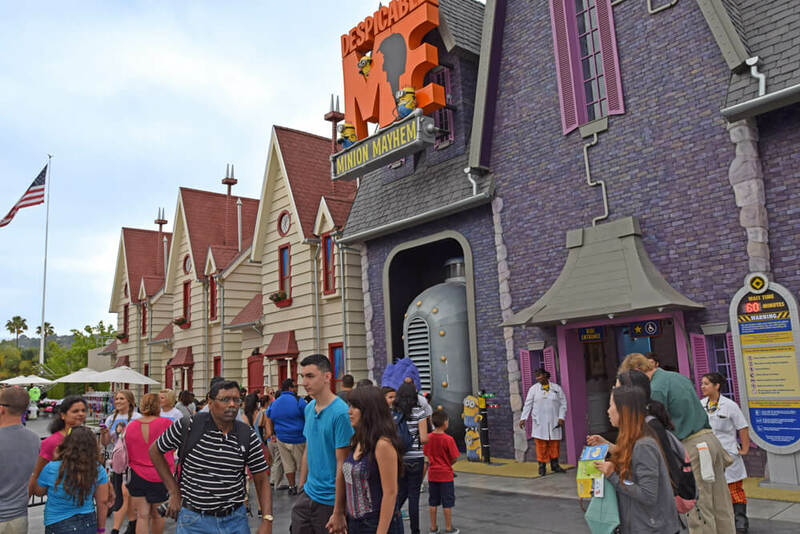 You'll find discounts on Universal Studios Hollywood tickets as well as more tickets for Universal and other Los Angeles and San Diego attractions. My family of 6 will be heading to Universal Florida for 3 or 4 days starting June 17. Would upgrading to the Express Pass in advance be the best bet? That time of year seems to be a gray area as far as crowds (big but maybe not too big?). Its a big expense but at the same time I would rather skip hour long waits. Thanks for your help! We'd spring for the Express Pass if you can. With kids out of school, folks taking an extended vacation after Father's Day, and higher crowds in the area due to the opening of Galaxy's Edge, it's likely to be busy. I read your Park Plan and I am wondering what changes you would make to the Park Plan if I am getting the Express Pass. For example, should I start off at a specific section of the park and make my way around. Or do you suggest I stick to the Park Plan? Thank you in advance. Hi. Can we upgrade to the unlimited express line for the 2 day ticket for Universal Studios Hollywood? Planning on going April 26-27. Are these dates busy? Thanks! According to our Crowd Calendar, those dates look to be a 7/10. You can upgrade to an Unlimited Express pass upon arriving to the park. That day only looks to be a 5/10 according to our Crowd Calendar, so we don't think you'll need to upgrade :) Enjoy! Hi! We will be here for Christmas this year and I have already purchased the express pass. Does it work for things like the Grinchmas shows, tree lighting, things like that? Or is is only for non seasonal activities. Thank you! Express Pass is just for rides and permanent attractions. The seasonal shows are all first-come, first-served, but there are so many shows, so you should not have a problem. We will be there 4/22 and 4/23 and want to access both HP areas and parks with as much ease as possible for a family of 5 during spring break. The VIP is too prohibitive, but will 2 day-2 park w unlimited express passes be helpful or should we still expect long lines b/c of spring break? The parks themselves will be busy due to spring break, but with Unlimited Express passes, your wait time should be minimal. Enjoy! We are planning to go on 4/24 and planning to purchase the express ticket on your site. Not sure which one to select whether peak or not peak? Non-Peak will be the right ticket if you're visiting in 2019! Here's the fine print: (E-ticket valid: 2019- January: Whole Month. February: Whole Month. March: Whole Month. April: Whole Month. May: 1-24. June: Not Valid. July: Not Valid. August: Not Valid. September: 3-30. October: Whole Month. November: Whole Month. December: 1-13). Have a frogtastic time! But you can ride any ride you want or you'll have a limited amount of rides you can use? that's what I really want. to know cuz I know you can use it 1 time for ride but they don specify if there's an amount of ride you can use on your visit! Please let me know, im not from the US but hopping you can answer my questions! You'll get one-time express access to every ride, attraction and seated show in the park. You may also have the chance to upgrade to an Unlimited Express pass, giving you this same benefit, but allowing you to experience each ride, attraction and show as many times as you'd like. Question, do we get the early entry to the park with the Universal Express Unlimited ticket? Early park admission will not come with the Universal Express ticket; the early park admission is a benefit reserved for folks who purchase a Universal Partner Hotel package. We are planning to spend one day at Universal Studios Hollywood at 4/23. 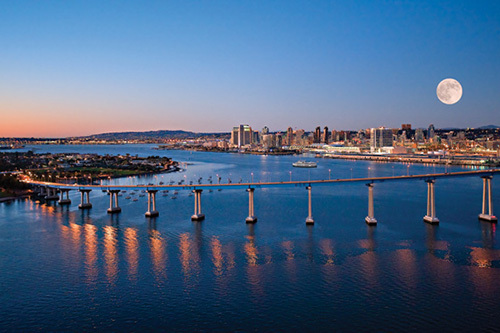 Do you recommend getting the express pass? The Crowd Calendar is showing that as a 7/10 in terms of crowds, so it's probably a good idea to do so. I'm planning on going this weekend march 9th you think it will be super busy enough to purchase the universal express pass or would it be a waste? Please let me know... Thank you! It would not be a waste, but it will not likely be the peak of spring break. We are visiting the park on either Friday 22 March or Saturday 23 March. 1. If I buy a one day ticket can I use it for either day or must I specify the day when buying the ticket? 2. Do you think an express pass will be necessary on either one of these days? 3. I know Saturday will be busier than Friday, but the park is open later. Is it worth the extra hours in the park? 4. Will these dates be in spring break? You can use it either day, provided there is no blackout on the ticket. Please check the specific terms. As far as Express Pass, it is a busy time, and we would consider them if it's possible. If you think you will take advantage of the extra hours, then Saturday is worth considering, but it's really up to you and how you plan to tour the park. can I upgrade that to an annual at the park? Hi, we (family of 4) are planning to visit Universal Studios Hollywood on either Sat. 6/1/19 or Sun. 6/2/19 and I'm debating whether or not to get the Express Pass. What is your recommendation? Thanks. It won't yet be super crazy busy, but you likely will still see elevated crowds with it being a weekend. It's a tough call. You could hold off until you arrive and add it early in the day if you think you need it. Hello ! We're visiting the universal parks in august and we're going to buy the express passes, no doubt. The questions is that we are two adults, one 6 year old kid and one 2 year old... Should we get 2 passes (one for me and one for the 6 year old) and my husband could get on the single ride lines... But I'm sure he'll want to ride with our 6 year old son on some rides... is this possible to alternate between us the use of one express pass ? (pardon my english, I'm french). Thank you for your answer. Yes, you should be able to take turns with the Express Pass, but keep in mind that each pass only is good for one time use at each ride so you can’t each ride the same ride with it. 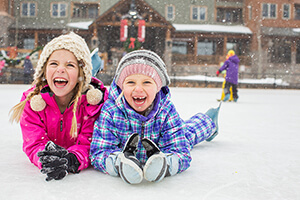 Since you have the two year old, you might see if you are able to use Child Switch rather than Single Rider, and then your son might just get a second ride with the supervising parent. 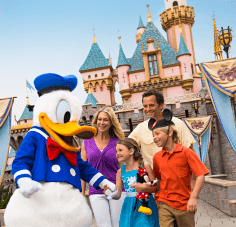 Hi, we (my husband, my son age 15 , daughter age 6 and I) will be spending 4 days at Disney resorts in Anaheim and planning on spending a day at Universal Studios in between the 4 Disney days. We definitely want to go for the Universal Express Pass, however we were back and forth on the VIP pass too but considering the little one, she will be board with the back stage tours etc. We will be there in August (13th to 17th). 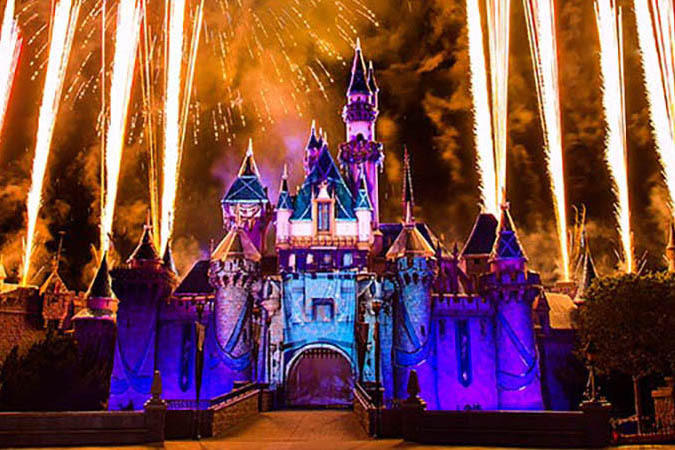 Is it best to purchase the tickets for Disney and Universal Studios now or wait until closer to time? Considering Universal limits the Universal express tickets sold on each day. Any guidance would be appreciated. We always recommend you purchase tickets as soon as you know your dates to lock in the best rates. Because of Star Wars Land, many people will be visiting Disneyland at this time, and that will spill over to Universal Studios Hollywood. For that reason, it's probably a good bet on purchasing at least the Express Pass. Perhaps you're getting confused with Universal Orlando. USH does not offer Park-to-Park tickets since there is only one park. If you mean Express 1-Day ticket, you can purchase the non peak ticket! Very helpful article. We are planning to visit Disneyland and Universal May 2-7th, 2019 and planning on doing Universal on the Friday or Monday. Which day do you think would be better and would it be recommended to get the express pass at the gate. We already have our tickets. Either of these dates should be great for Universal. Monday might be slightly better, but you shouldn't need Express Pass for either! We are planning to visit Universal Studio Hollywood either March 24 (Sunday) or 25 (Monday). Both are non-peak times, and Sunday with extra 2 hours. Would you recommend buying express tickets? Also, do you get early entry purchasing through undercover tourist? Thanks! You might consider purchasing Express for these dates. 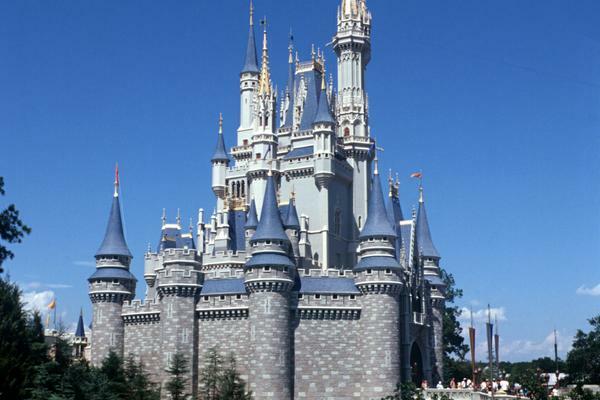 You would save since they are designated as off-peak, although we do think the parks will be busy both of those dates. We currently do not have early entry with our tickets. We will be there on Deceber 29 ,2018. Is that going to be a busy day? I am excited I will be visiting Universal Studios Hollywood with my 5 and 7 year old Grandsons! We will be going December 21st and I want to make sure the day is amazing. Do you suggest express tickets for December 21st? Hi, I am Planning to visit universal studios either 12/29 or 12/30 (not decided yet). should I buy express pass now or to upgrade it when i reach there on that day. Is there any per day limit on express passes ?. There is a limit, but if you get there early enough you would likely be able to get them. Hi, I am planning to take my family to universal studios Hollywood on dec 1 or 2. 2018 I am wondering what the crowds will be like on these days and If it would be worth it to get the Express pass as we are limited in our time from 9:30-6pm as well. Thank you. You're in luck! Our Crowd Calendar shows only moderately busy crowds on these days, with Dec. 2 being the better choice. Express passes would certainly save you lots of time, but are not a necessity in this case, especially if you're on a budget! Thanks for the tips, great ! My family and I are planning to visit on November 2018 (we don't know yet which day but between 26-29th). After taking a look at the crowd calendar, i'm still wondering if it would be necessary for us to buy Express Ticket during this period of average crowd or if the 1 day general admission ticket would be enough. Hello! Very informative article! I’m going on vacation to universal Hollywood this month and I was debating if I should get the express pass after 2pm with horror nights admission for 2. Would that be smart? I would like to see Harry Potter and some shows which I know are closed during HHN. Do you think I’d have time with the after 2pm ticket to enjoy those attractions with the express pass? Also does the express pass come with a badge and lanyard or did they get rid of that? Thanks in advance! hi - how often do you have your Universal Express Unlimited special deals on offer? We are visiting in January and wondering whether to buy Express passes now or wait and see if there’s a chance we could get unlimited for the same price. Thanks! We wish we could tell you! Our ability to offer you stellar deals depends on a variety of factors, but we promise to let you know as soon as we can. We recommend signing up for our e-mail list to be the first to know! Hi! Thank you for the great tips. My family and I are planning to visit on Monday. Nov 19. Since it’s during peak time, I’ve decided to buy the Express Tickets online where we can either print them out out or have it scanned on our phone at the gate. My question is, after our tickets get scanned, will we be getting a wrist band or something to show we have Express tickets? Thank you! Thanks for the information. My girlfriend and I are going Sunday, October 6th with the After 2pm pass. I did not get the Express pass, but I'm wondering if we will need it. Also, can you upgrade to an express pass at the gate? Is there an option for express passes for UNLIMITED access at Universal Studios HOLLYWOOD? Or only at Orlando? I only see the express pass (once for each ride) option listed on the Universal Studios website. Thanks. Check out our discounted Universal Studios Hollywood tickets ... including Express Unlimited! We are attending on 11th and 12th October. We are planning on buying a 2 day pass do you think we need express ? Also do we get early entry with your 2 day pass. Our Crowd Calendar predicts moderate crowds, so we don't think Express is a necessity. Is this different than the express pass that comes with some of the hotels? And I saw that this pass is only available for one-day only, is that true if the hotel pass as well? Sounds like you may be searching for information on Universal Orlando, not Hollywood. 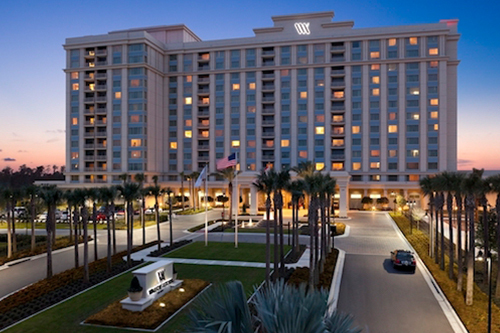 You can learn about Express at Universal Orlando Resort in this post. 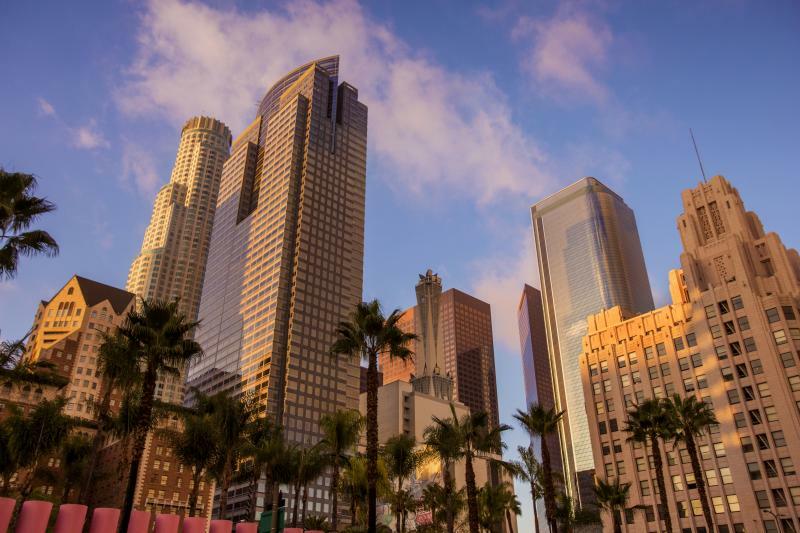 Hi, we will be in LA on the week of 22nd October. We are thinking of going on either the tuesday 23rd or wednesday 24th - will this be best? Do you think fast passes will be needed? Do you have an idea of what kind of waiting times there will be on days like this? We will not have a ticket for the halloween horror nights, just want to visit in the day. Thanks! Our Crowd Calendar predicts crowds will be fairly similar (moderate) on both the 23 and 24. We can't predict wait times, but we don't think Express Passes will be necessary. Will be going to universal 13th December thinking of getting the go LA card. Can you add Express pass to this. Have looked at crowd calendar and it looks medium. Also can you add fast pass to knotts berry park also. Yes, you can add Universal Express onto the Go LA card. Once you are in the park, you can add Universal Express to any ticket for an additional fee. That fee can vary based on crowds and demand. We don't think it's necessary on a moderate crowd day, but certainly can't hurt! Fast Lane Passes are available at Knott's Berry Farm. I’m planning on taking my son sept 5 and 6. We are going to stay at a hotel that gets us into the park 30 minutes early. Would the express passes likely be available for sale upon entrance. Will we even need them? Our Crowd Calendar predicts that the park will only be moderately busy on these dates. You should be fine without Express passes! We were going to go to park tomorrrow, Mon the 27th, worth getting express passes? We haven’t taken the kids to Universal yet. They are 6 and 3. Love the blogs on her to help us decide what to do and when! Hi. My sister and I (two adults) are planning to visit Universal Studios on Monday 4th Sept and get there as early as the gates open. Any guidance on whether or not we'd need an express pass? Thanks so much! Our Crowd Calendar predicts low crowds throughout that week, so Express Passes should not be necessary. Crowds don't look too bad ... you should be fine without an express pass! We are planning to go to universal studios on the thursday, 20th september this year. My idea is get the combo day and night with halloween horror nights, so from 2 pm. My question is, do you think that i need the universal express? And starting at 2 pm you think that i can enjoy most of the rides? My other option is going to HHN on thursday and friday to the park in the morning. Since you're going on a weeknight and will be able to enter the park at 2 p.m., we think you'll probably be okay without a Universal Express pass. You should enjoy the rides that close during the event when you first enter the park and then maybe experience the other rides during your time going from maze to maze. Either of your plans sound doable! Planning to go to Universal Studios Hollywood during the peak Christmas season. Would like to go for two days and was considering purchasing the two day pass. Can you purchase a two day pass with the express option? I only see that offered with 1 day tickets. Would be really pricey if I have to get 1 day express tickets and then pay the full price for another day. What's the best deal to get tickets for 2 days, with at least one day having the express tickets? Thanks. Universal Express Passes are only being offered for one day right now. Hop over to our discounted Universal Studios Hollywood tickets! We are family of 4 adults and 5 kids and planning to visit Universal studio on Aug 10th, we have plans to buy express ticket and see how it goes on first day and if needed buy tickets for second day(in case we do not cover everything in one day with express). Out of 5 kids, 3 kids do not meet the height requirements of 48". Do you recommend buying express for them?Also for single rider how old kid should be to avail that. This sounds like a great approach. 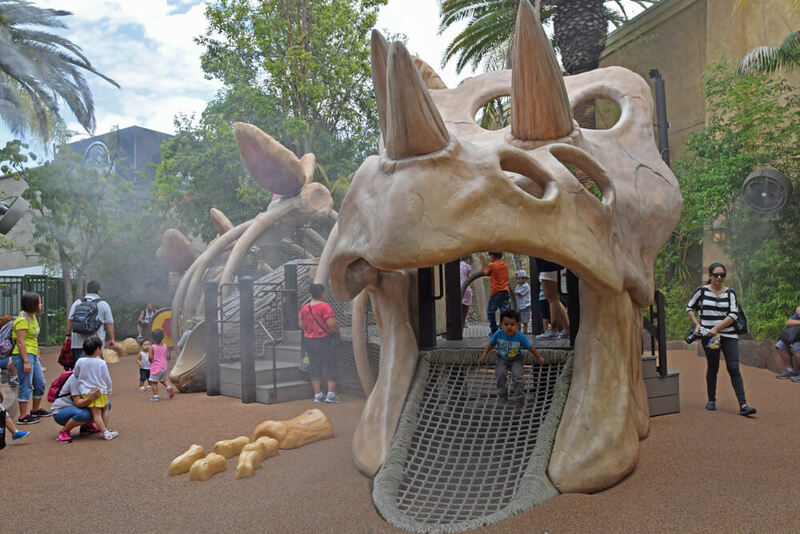 Check out the Universal Hollywood Height Requirements to see how much your little ones would be able to conquer. If they aren't tall enough for most of the "big" attractions, we don't recommend purchasing an Express pass for them. Guests who are 48+ inches tall and/or 14 years and older are allowed in the single rider line without a companion. Hi there, planning to visit universal studios on Monday 10th Sept, would you recommend an express pass or would it not be necessary? Our Crowd Calendar predicts a 4/10 rating in terms of crowds. We don't think an Express pass will be necessary! If you're interested in the Harry Potter or Mummy attractions, be sure to visit that first. Hi! We are planning to visit Universal Studios Hollywood around aug 9-10. We are a family of 4 including a 9 and 12 yr old. We are planning on getting the express pass. Do you recommend 1 or 2 days? I am hoping one day since the express pass is pricey, but I want to make sure we hit all the major attractions. Thanks! The park will be rather crowded on these days, but two days (one with Express passes) should be plenty of time to accomplish everything! Unfortunately, we aren't able to give a good estimate on specific wait times as so many variables are involved ... but a 5/10 is pretty mild in terms of crowds! This isn't too bad at all. We would also recommend stopping by guest services upon arrival to see if any accommodations can be made for your son. Hello! First off, I LOVE all of the information you have readily available, and it just increasing my level excitement. Is there a price difference in peak and non peak pass? Aw, thanks for your kind words! We are always hoppy to help. Yes, there is a price difference, and you can find all of our discounted ticket options here. Please reach out if you have any other questions! 2018- May: 26-31. June: Whole Month. July: Whole Month. August: Whole Month. September: 1-3. December: 15-31. 2019- May: 25-31. June: Whole Month. July: Whole Month. August: Whole Month. September: 1-2. December: 15-31. A friend show me a “Front Line” ticket for up to 6 person to any show or attraction, where we can buy those tickets? Hmmm - the unlimited Front of Line ticket for multiple people is typically only for disability services or given by a team member if a ride is down. This is not something you can purchase. However, you can check out all of our discounted Universal Studios Hollywood tickets here! Can the Front of Line pass be used by multiple people...like is it an actual pass that i can just hand to my son to use and the later use it myself? What exactly does it look like? And how do they know if you ”share” it? I know it’s only for one ride, but still curious on the look and how they know who it belongs to. It is a hand-held ticket, so you could share it for one-time use for each ride. That works out if you want to use it on different rides. You might also consider using Single Rider for minimal wait times! My family of four is heading to Universal Hollywood July 20th, which appears to be a busy day. I was planning on getting the discount express tickets on your site, but I wanted to make sure that they include the 1 hour early entry. I didn't know if you only get early admission by buying tickets online strictly through universal studios. Thanks! Great question. Our tickets do not include early entry.